Gamebook Adventures 2: The Siege of the Necromancer is the second in the series of Gamebook Adventures. It’s a nearly written fantasy adventure story. 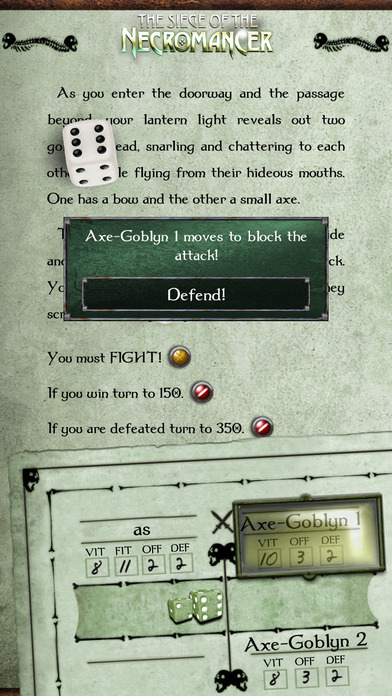 There’s dice-roll combat, with a quick-roll feature if you don’t want to wait for animations. You can also check your character sheet throughout the game to see how your stats are going. There are bookmarks to save games, and an interactive world map. The Siege of the Necromancer also has even more achievements to collect.